None of us like to leave them behind, however taking dogs on holiday can be complicated. From finding accommodation to activities whilst you're on holiday, it can feel like an uphill struggle at times. At the Sail Lofts, we're happy to be able to host your four legged family members. Our dog friendly five star accommodation ensures no compromises are made when it comes to location or quality. All guests are greeted with a hamper full of cornish produce upon arrival. So it's only fitting that your best friend receive the same treatment. Dogs staying are gifted a bowl, blanket, ball and treats to ensure a comfortable stay. 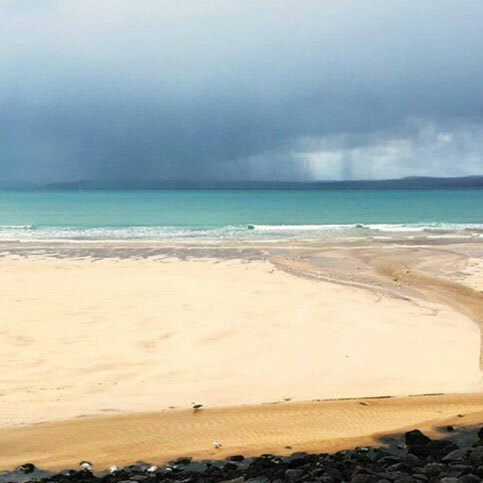 Winter is the perfect time for a trip to St Ives if you want to feel the true essence of this part of the world. Ragged coastlines and wild seas are yours to enjoy without the crowds that come with the summer months. 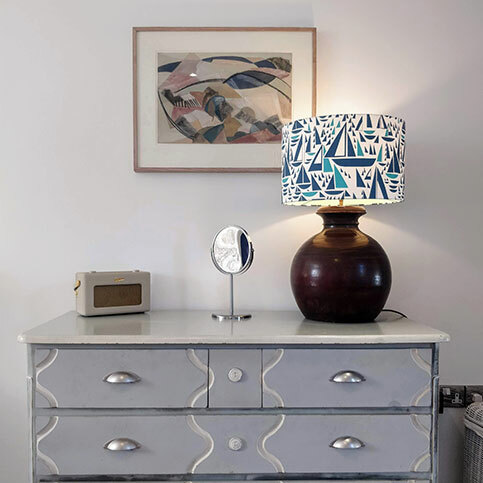 Our dog friendly, five star accommodation is close to the town centre and a stone's throw from Porthmeor beach and the coastal path. We've put together some of our favourite places, all of which are best enjoyed with four-legged friends. So whether you fancy a stroll through St Ives or a hike to Zennor, you're in good hands with us. There is little more satisfying than a bracing winter walk along Porthmeor beach, metres from your dog friendly, five star accommodation. Strike out into the elements and once you've blown away the cobwebs, make for the shelter of Porthmeor Cafe. Great for a fly by warming hot chocolate, piping hot soup or tapas. 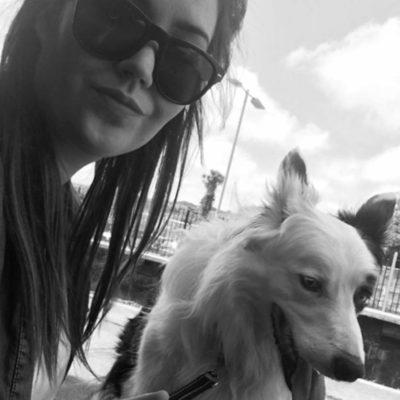 Your four legged friends are more than welcome to join you on Porthmeor's covered terrace. Furnished with a heater and blankets, you'll have everything you need to hunker down and watch the world around you. 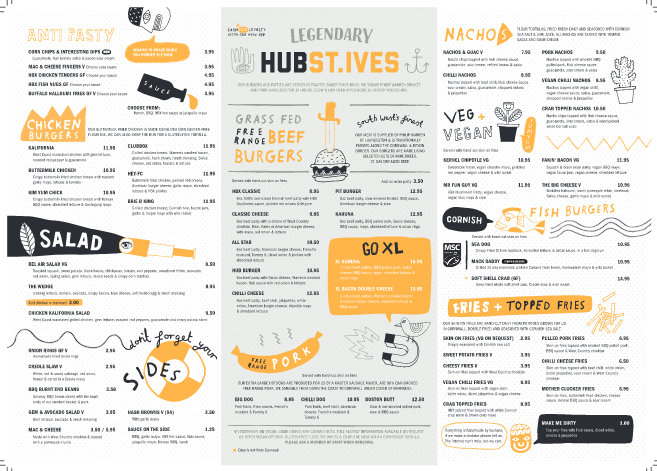 Situated on the Wharf, the Hub is a must for great coffee, cakes and immensly satisfying, American style food. Take advantage of the Hub being on the other side of town (still not far!) and tire out the pooch en route. Head around the Island, down onto Porthgwidden and then across to Bambaluz and onto the harbour itself. 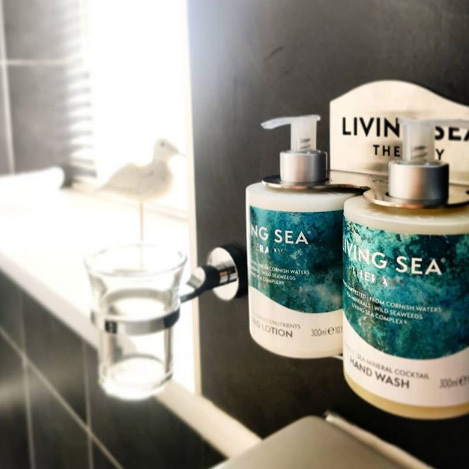 The Hub's laid back atmosphere encourages leisurely afternoons looking out to sea. Whether it's coffee and cake, lunch or a few tipples... whatever your poison, have another! Taking a more direct route through town, the Hub is approximately 10 minutes from your dog friendly five star accommodation. Leisurely eating and drinking, punctuated with the odd trip across the road (literally) to let fido run on the harbour? Heaven, surely. When you notice a crowd spilling out onto the road you've found the Sloop. Whether you opt for a snug corner under the low-slung beams or a bench outside from which to watch the world go by, come rain or shine, there's always a good buzz about the place. The sloop serves up breakfast, lunch and dinner as well as, of course, drinks all day and is just a couple of minute's walk away from our dog friendly, five star accommodation. The ultimate destination for walkers and dog walkers alike. 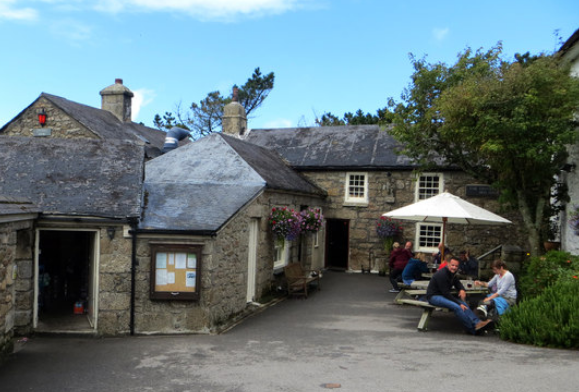 The Tinner's Arms is the treasure awaiting those who have walked the coastal path from St Ives. 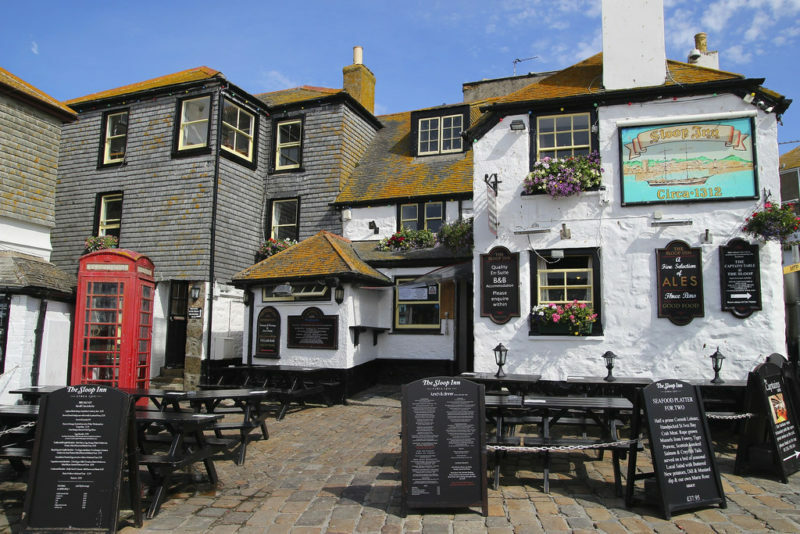 Boasting a traditional cosy bar, beer garden and a lighter, airy dining room, you'll find a good melting pot of local families, visitors, and walkers gathered at the Tinner's Arms. 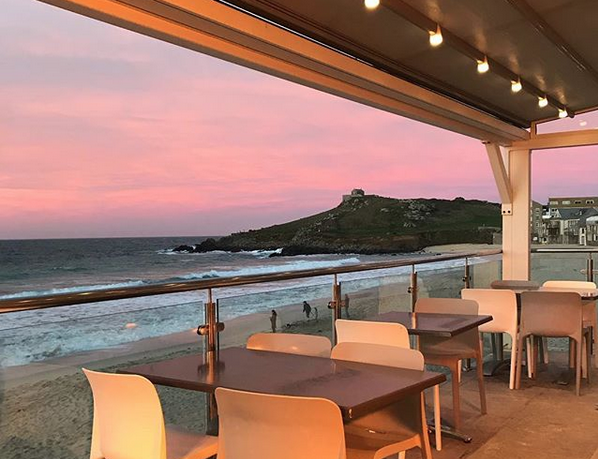 The menu showcases fresh crab from Newlyn, mackerel from Mount’s Bay, 28-day-hung steak from herds reared on local pastures and Moomaid ice-cream. Whether it's a well deserved lunch after walking the coastal path or a leisurely Sunday roast. You can count on washing it down with plenty of local ale. "Relaxed country pub with great food and local ales". Located just outside of St Ives surrounded by rolling hills and ponies. The Halsetown Inn can be reached via an easy and picturesque walk through the countryside. The going isn't too tough but it will take a good hour should you choose to walk. It's also only a five minute drive away (with ample parking) should walking not be on the agenda. Comprised of dining rooms, a cosy bar with open fire, and a beer garden, the menu focuses on being local and sustainable. Boasting the kind of delicious and gratifying food you'd hope to find in a pub, the food is simultaneously inventive and refined. 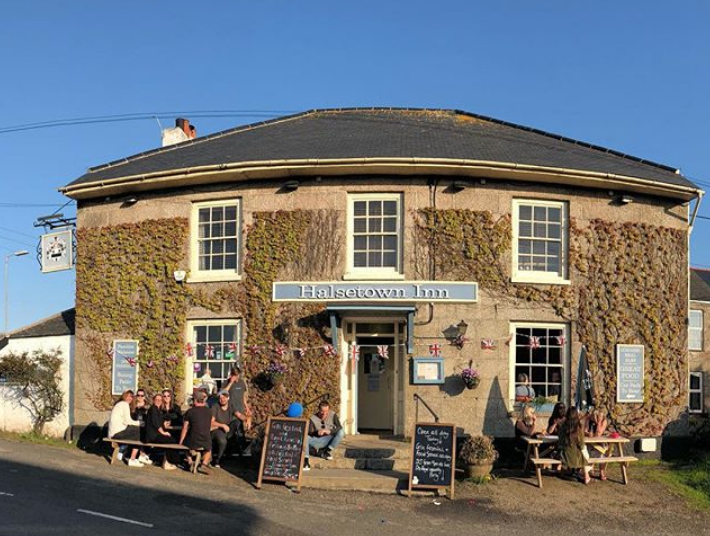 If you fancy a pint or two in a good Cornish bar, a quick bite in the beer garden or dinner to mark a special occasion, make a beeline for the Halsetown Inn. Although we're dog friendly all year-round, your four-legged friends will thank you for bringing them to St Ives during winter while they're allowed on all of the beaches. Explore our dog friendly five star accommodation.